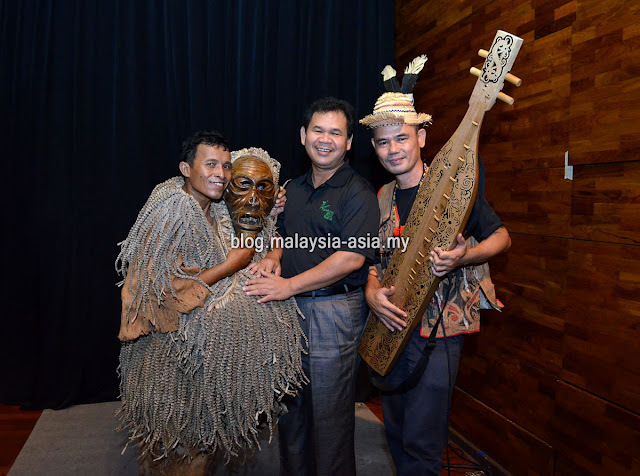 The Sarawak Tourism Board (STB) recently hosted a Rainforest World Music Festival 2015 media preview at No Black Tie in Kuala Lumpur on the 13th July where around 20 various mainstream and entertainment media representatives turned up for this event which led to a buka puasa dinner at the venue. During the RWMF media preview, the CEO of Sarawak Tourism Board Datu Ik Pahon Joyik gave a speech about the festival and how it has come a long way since 1998 and for this year, the festival has now moved on to introducing a more exciting itinerary for visitors to the festival. The director of events and corporate relations, Angelina Bateman, then gave a presentation about the Rainforest World Music Festival 2015 where she spoke about the ticket prices, promotions, the new ticketing and also a run through of each of the performers and bands, locally and internationally. A must not miss event throughout the three days is the music, dance and sound workshops that will take place in the afternoons at the venue. She also announced that sponsor Rip Curl was also going to be promoting their special limited edition Rainforest World Music Festival singlets and t-shirts during the festival. Concluding the media preview, a special show by two of the performers, the Mah Meri and Solomon from Lan E Tuyang played a sample set of their unique ethnic music. Highlights of new additions to the festival where for the first time after 18 years, they event will see the introduction of Radio Frequency Identification or RFID Wristbands. This modern system will assist the organisers to collect data from visitors and also to reduce fraud of tickets. The RFID bands will also be used for making purchases for food, drink and souvenirs at the venue. STB is conceptualising a cashless system at the even where visitors can simply reload their RFID tags with money at four top up counters placed strategically around the event venue.